Ukay catering is a connoisseur manufacturer of diverse condiments eg. Tomato sauce, ketchup, brown sauce, bbq, vinegar to name but a few. 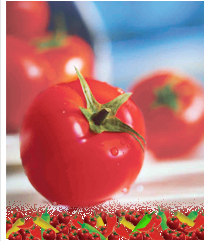 Ukay catering’s tomato sauce manufacturing days commenced in the early 1970's. Our modern, highly efficient technology has helped us make many distinctive blends and variety of sauces which have steadily expanded over the years. We pride ourselves in using mostly natural ingredients. 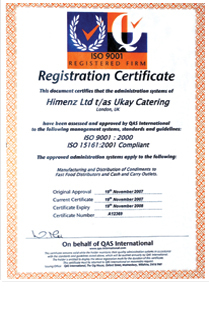 Our establishment is highly capable of accommodating to customer requirements. We are versatile and can undertake altering our unique recipe to meet our customer's needs. We will even offer various alternative packaging proposals varying from 300ml to 10 ton bulk purchases. We continually thrive to maintain ongoing excellent business relationships with existing customers. Our level of courtesy towards to new customers gives the assurance of a high degree of ease and confidence. We have been comfortably producing up to 12 tons of sauces on a daily basis. We work extremely efficiently under pressure especially under the scrutiny of the rabbi to manufacture kosher ketchup for the passover period for the Jewish community.